"It's all about peaking at the right time which is so important. The World Cup is a long format so every player should be at his best physically and mentally if India has to win the World Cup. They start as favourites. For me, India and England start as favourites," Laxman told reporters on the sidelines of Bengal's Syed Mushtaq Ali T20 tournament preparations here. The 44-year old is a batting consultant of the Bengal team as a part of Cricket Association of Bengal's Vision 2020 programme. "I think brilliant. 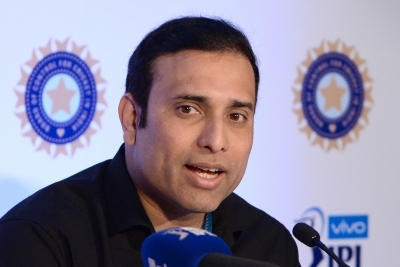 The way they played, I would like to congratulate the entire team," Laxman said. "The way they played right from the Australia series to the New Zealand series... and it's not only one or two players who have put their hand up. Everyone has contributed. So it's great to see bowling and batting departments contribute," he added. Talking about the Bengal team which failed to make the final at home last season after finishing third in the Super League Group B of the Syed Mushtaq Ali Trophy, Laxman said: "The preparation has been really good. We had a lot of match simulation. In T20 cricket, better than nets is match simulation. It has been a very realistic practice. We played a couple of games too." "I am disappointed that they did not qualify but the potential of the side is to go on and win the Ranji Trophy," he said. "Arun has always been someone who is mentally tough and he will inspire the team. He is a great asset to the team." "That is something that the BCCI has to work out. The wicket could have been better. It was spinner friendly. You want U-23 finals to go the distance as it gives an opportunity for the youngsters to showcase their talent. But youngsters should also know how to play in different conditions," he concluded.